A woman from North Las Vegas was attacked last Thursday by a pit bull terrier named “Bugsy” while she was at a barbecue with friends. Walker was terrified she was going to lose her life if she didn’t get help. A friend who was at the party, pulled a gun and shot the pit bull. 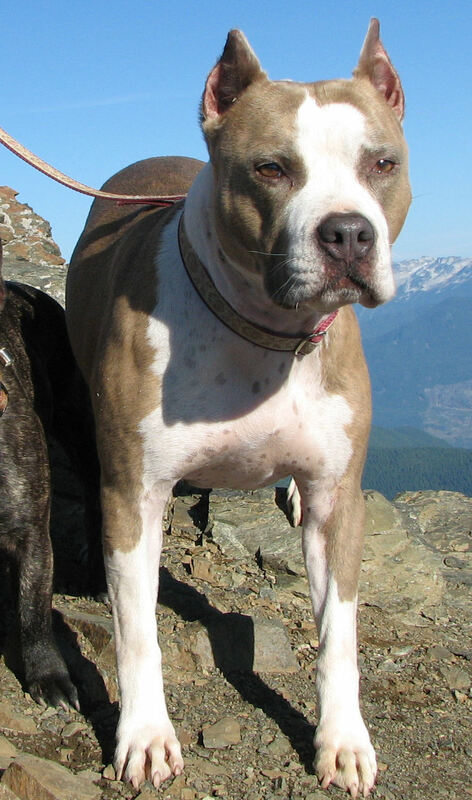 The bullet passed through the dog, killing it, and struck Walker in her leg. Another instance of a pit bull attacking their owner and needing to be shot happened again within 3 days of each other. A man From Yarmouth Massachusetts shot and killed a pit bull terrier on Sunday when it attacked him in his bed. According to his statement to police, the man was in bed with his girlfriend when he tried to push the dog off the bed. The pit bull, “Max” had been recently fostered by the man and attacked him. The dog tore at him, giving the man serious injuries to his left arm. The man was able to reach with his right hand to a 9mm pistol on his night stand which he used to kill the dog. When police arrived at the home located on Woodbine Avenue in West Yarmouth, they found the wounded man and the dead pit bull. Officers then seized the pistol, ammunition and a shotgun they found in the home for “Safe keeping,” even though the man is fully licensed to own firearms in the state of Massachusetts. The injured man was taken to Cape Cod Hospital for treatment while Yarmouth Animal Control Officers took possession of the dog’s body. Keeping your home defense weapon in a secure, quickly accessible location is essential for situations like needing to shoot a rampaging dog. Additionally, understanding how to make contact shots and choosing the right angles for shooting like the one in Las Vegas is an important skill to learn. Find someone to teach you how to do that here. Read here for an article by Jacob Paulsen on Keeping a Gun on the Night Stand. Many are on the fence about the danger of owning a pit bull. I have personally known great ones and bad ones. What do you think? What do you think of the MA Police Officers taking the guns from the injured man for “Safe keeping?” Do you think this is smart policing? Or governmental overreach?